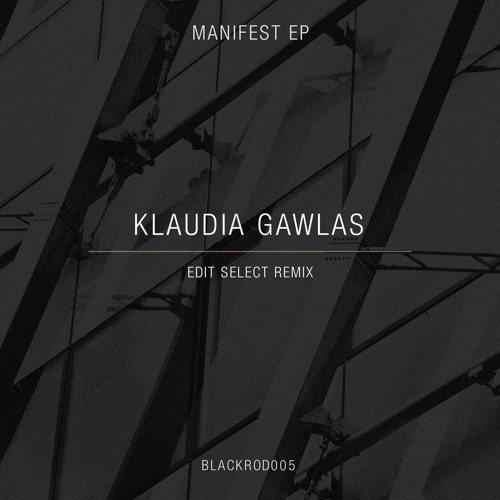 German techno mistress Klaudia Gawlas delivers yet another strong release titled MANIFEST including a remix by prolific Scottish producer Edit Select. The EP maintains a steady flow which builds upon the producer’s dark and hypnotic grooves. It begins with MARGIN which seems taken from a chase scene of a horror movie and sets the upbeat and tense atmosphere of the EP. Edit Select’s special touch on MARGIN's remix fascinates with its synth soundscapes and adds a more atmospheric and dreamy feel to the original track. MANIFEST picks up where MARGIN left off, with its heavy bass and rumbling drums. Closing track ADDITIONAL creates an even darker vibe with the distorted vocals and the haunting explosive bass and lead lines.